The Scanter 5502/5602 is an X-Band, Solid State, 2D, fully coherent pulse compression radar with software-defined functionality. 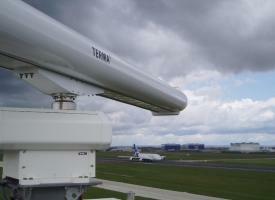 It is used as Airport Surface Movement Radar in an A-SMGCS network. There are two transmitter versions available. In Scanter 5502 is used a solid state power amplifier with a power of 50 W, that is recommended for waveguide length of up to 15 m. Scanter 5602 uses a transmitter with a power of 200 W, that is recommended for waveguide length of up to 45 m. The transmitted pulse power is programmable, also in sectors. The antenna is a 21 feet circular polarized linear array. 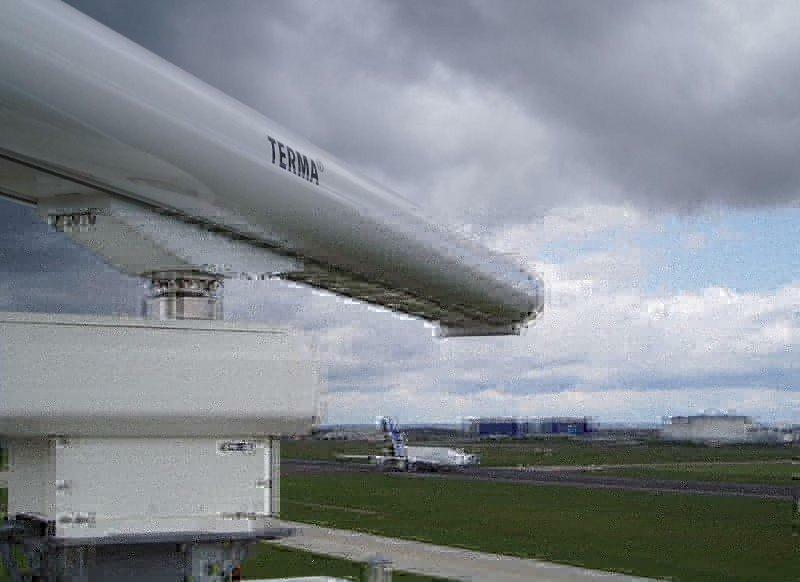 Termas Scanter 5502 is also used as radar-based Obstruction Light Control (OLC) in wind farms. The obstruction lights (red, flashing signal lights) are only switched on by the radar if there is an aircraft in the vicinity. This variant of obstruction lighting must be tested by the German Air Traffic Control by means of test flights before the switch-off of continuous operation can be permitted. At twilight, however, the lighting must remain switched on. This means that around 95 to 98 percent of the switch-on time can be avoided, which is good for the environment (so-called light pollution). Approval certificate of the German Air Traffic Control.